New students applications now being accepted from all countries. 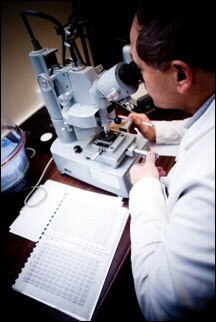 The International School of Forensics now has trained court qualified forgery experts working worldwide. Now, you can get trained and Certified – without quitting your full-time job through our new international distance learning program & Certification programs. The 2 Year School is now accepting enrollments from the general public. If you are already a trained and working document examiner (in any country) you might qualify for our “Certification Program” and receive a USA based Certification based on our new testing and certification program. If you have ever considered a career change to something related to criminal justice, becoming and expert witness, or a handwriting expert, this is the distance learning program which can train you and help you build your own business. Courts are filled with forged wills, fake checks, and mocked up contracts cluttering the legal system. Until recently, it was “free reign” for criminals to forge documents to support their dubious claims in the thousands of uncontested trials statewide because of a serious shortage of court qualified document examiners. In many USA states, the attorney general just dismisses in mass forged check charges and other document related crimes because the workload and the price is simply too high to prove forgery without a witness or a highly trained handwriting expert. This school of mentors, professionals and educators, has changed the way documents are analyzed and forgery cases are solved. If have ever considered working in law enforcement, the legal field, or criminal forensics, handwriting document examination might be for you. Learn more through our detailed website of video, audio, and downloadable documents explaining the program. We offer both a career training program and educational distance learning program which helps to get you ready for USA Certification.